This blog piece is based on the following article: Meltzer, A. (2017) Comparative life experiences: Young adult siblings with and without disabilities’ different understandings of their respective life experiences during young adulthood. 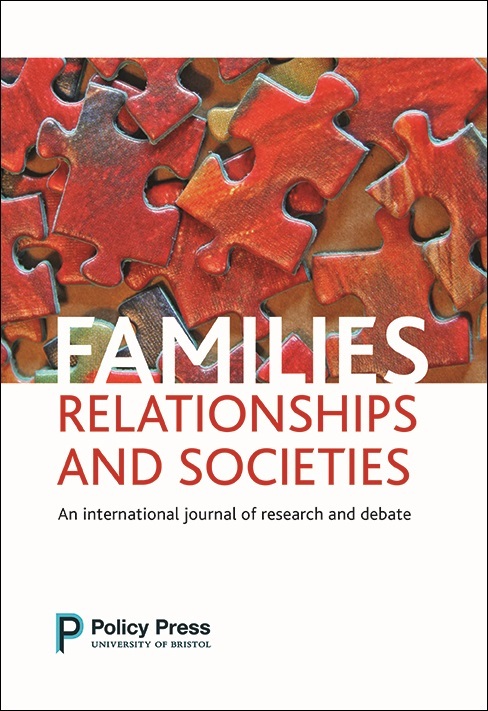 Families, Relationships and Societies, early view. Originally published by Sibling Leadership Network on 1st December 2017. It’s a familiar feeling. You are a sibling of a person with a disability in your late teens or early 20s. You are busy constructing your life around you – doing new things, making new relationships, learning to drive, moving out of home, finishing school, starting work. Your world is expanding. And yet there is something uncomfortable lingering in your mind. Maybe it is a feeling of guilt, maybe it is a feeling of inequity, maybe it is a feeling of being awkwardly advantaged. Whatever it is, it is a feeling that is there when you look over at the experience of your brother or sister with a disability and see that these life changes that you are making come with more hurdles when your brother or sister tries to do the same things – or perhaps they are things that you believe your brother or sister may never do at all. You value your own life and experiences, but that feeling is always there somewhere. It’s hard to think about and even harder to talk about, especially with your brother or sister themselves – because it feels unkind to point out the discrepancy between you to them – so you bury the feeling and forge ahead, valuing your own experiences, but carrying that sense of disquiet always with you too. … But what if it did not have to be this way? What if your brother or sister thought about the situation differently to you? What if, by never asking them about it, you missed your opportunity to discover that perhaps they do not perceive the differences in the same way as you? How might that new knowledge help you? What does research say about how each sibling thinks about the comparison? I conducted research about the relationships between young adult siblings with and without disabilities. I spoke to 25 young people with a disability and 21 of their brothers and sisters about what their sibling relationships are like and how they navigate their lives together during young adulthood. As a researcher, I had the opportunity to ask questions that might usually be too hard to ask directly within families… I had the opportunity to ask what each thought about their respective life experiences during young adulthood, especially the comparison between them. What did siblings of people with disabilities say? The story that siblings of people with disabilities told me was usually consistent with the scenario at the beginning of this post. Most siblings of people with disabilities generally perceived themselves as advantaged during young adulthood compared to their brothers and sisters. They perceived they had easier and more numerous opportunities – and that in the future they would be able to learn, work and live where and with whom they wanted, but they were unsure if their brother or sister would get to experience the same things as them. Often they appeared to feel that this was an awkward and inequitable difference between then. Often they felt bad about it, and sometimes they felt guilty about it. What did young people with disabilities say? The difference isn’t about disability. Some young people with disabilities did not view the comparison between themselves and their brothers and sisters as about disability at all. Instead, they explained the differences between them to be because of other factors that affect all siblings – age differences, making different choices, having different preferences or enjoying different personalities. One sister with a disability said, for example, that she did not mind that all her younger sisters were married when she as the older sister was not, because she preferred the control that comes with being single. When the comparison between siblings’ experiences was not seen as about disability, the differences between them felt far less awkward. I want that too, I just don’t focus on feeling bad about it. Other young people with disabilities did see the differences between themselves and their brothers and sisters as about disability – and they did indeed want to share their siblings’ experiences – but they did not to focus on feeling too negatively about it. One brother, for example, just stated the differences in a matter of fact way and then moved on to talking about other things he cared about more. Another person noted that she did feel jealous and frustrated about her siblings doing things she could not do easily – such as travelling or moving out of home – but said she also felt genuinely happy for her siblings’ experiences and did not resent them taking up those opportunities, in fact, she wanted them to. Others spoke about advocating or fighting for their right to be able to take up those experiences themselves, but did not blame their siblings for gaining the experiences with greater ease. Actually, there are benefits to the differences between us. Finally, some young people with disabilities noted benefits to themselves of the differences between them and their brothers and sisters. Some felt that their own experience was better, such as two young women who felt that their disability made their academic achievements appear all the better compared to their siblings. Another person felt that her sister’s experiences acted as a reminder to her family of the level of choice and autonomy that she herself should also be recognised as having, and therefore that her sister’s different experiences actually helped to safeguard her own quality of life. This range of views highlights that young people with disabilities commonly think differently to their brothers and sisters without disabilities about the comparison between their life experiences during young adulthood. It does not discount the possibility that some young people with disabilities may feel disadvantaged and may resent the inequality they experience compared to their siblings – but it highlights that this is one of a range of possible views. The research also does not suggest that young people with disabilities do not want to share their siblings’ experiences or that they are completely satisfied with their opportunities – many would indeed like more opportunities, the research just highlights that often they are able to see this in a broader perspective of the whole of their lives and relationships. Finally, the research does not represent all young people with disabilities – although people with a range of disabilities were included, including intellectual disability, there is still more to find out about what, for example, people with a high level of support and communication needs think. The research does however show a range of possible views. Why does this matter? What can be gained from listening to what young people with disabilities say? The findings of this research matter because they highlight that young people with disabilities have different views to their brothers and sisters, and that sometimes they may see their own experiences during young adulthood as more normalised, more empowered or in a different perspective than their siblings without disabilities do. Understanding young people with disabilities’ own views about their lives is important, not only for hearing what they have to say, but also because appreciating their perspectives may help sibling relationships. Understanding young people with disabilities’ broad range of possible views means that the awkward sense of inequity that some young adult siblings of people with disabilities feel may not always reflect what their brother or sister is actually experiencing – it may reflect a more difficult or troubled view of what disability means in their brother or sister’s life than what that brother or sister actually feels themselves. Understanding the broad range of possible views should not stop siblings of people with disabilities acknowledging and challenging the inequities of their comparative opportunities – however, it does suggest that sibling relationships might improve, and feel less awkward, if young adult siblings of people with disabilities knew more about their brother or sister’s perspective. With this knowledge, young adult siblings with and without disabilities can perhaps together have relationships where they see their comparative experiences in a new light, building on each other’s understandings. Ariella Meltzer is an adult sibling and a researcher at the University of New South Wales in Sydney, Australia. The full article is available for free in the month of December 2017. You can download it here.